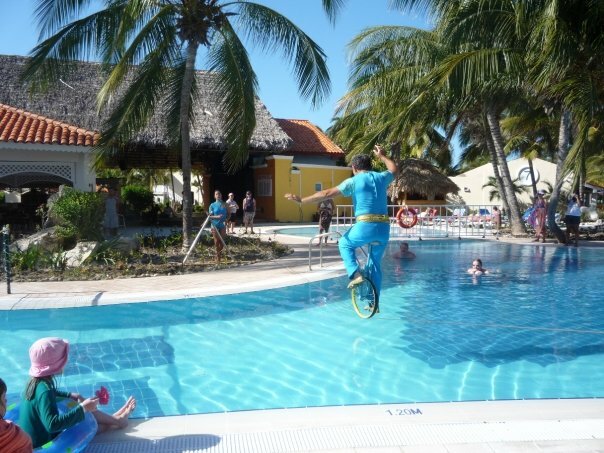 Free entertainment by the pool at my all-inclusive resort in Cuba. All inclusive vacations have a lot of benefits from having everything paid for and taken care of for your whole trip, to all amenities at your hotel being included in the price, to not having to plan anything yourself, and also the ever elusive all inclusive last minute deals when booking your trip, free entertainment, the unlimited drinks and of course the FOOD. 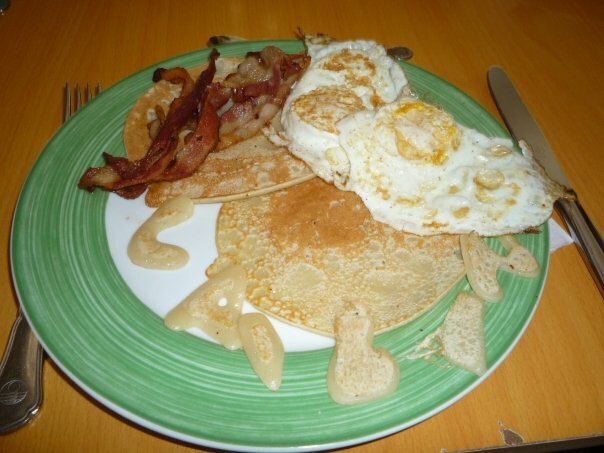 Our Chef at the breakfast buffet attempted to spell my name out in pancake batter. The food is one of the most important things (aside from the drinks) in my eyes and not only do I think that this is where you can get your moneys worth out of your trip but also I think the food can make or break your trip. There is nothing like a bad meal to ruin an evening/day/week and most times at all-inclusives there aren’t many options to go elsewhere. At the all-inclusives I have stayed at however there have often been a few choices for each meal from a couple of restaurants to the pool bar and even a buffet. If you had a bad meal one night you knew not to go there again however thankfully I’ve never had much problem. 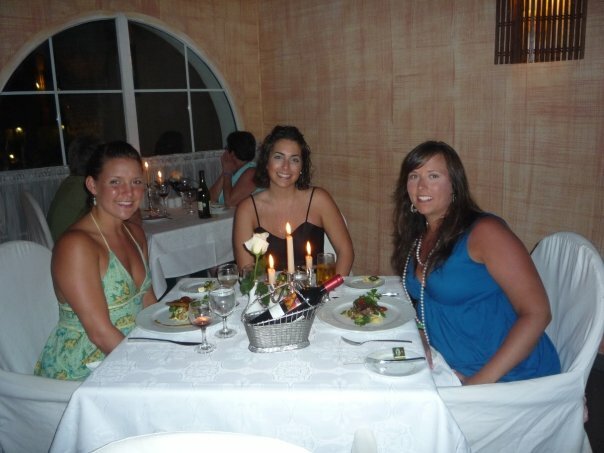 Having a fancy dress up meal with friends at our all-inclusive in Cuba. When I travel I also like to try the local food and learn new dishes and recipes and going to an all-inclusive is a great way to do this. Not only do they often feature local dishes but you can also try all of them with out regret of paying for something you might not like because “hey!” you don’t need to pay so try it all! 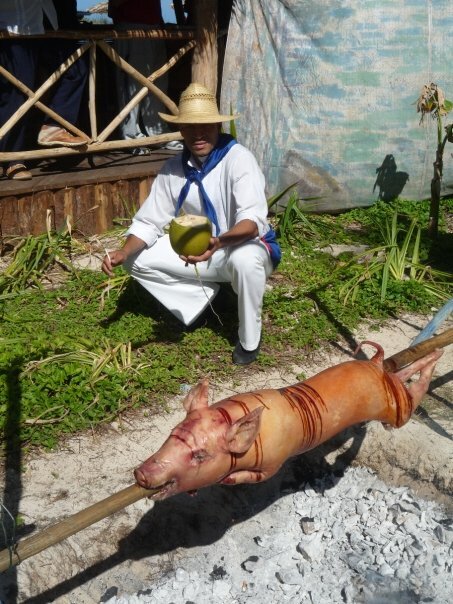 A pig roast in Cuba with Jorge dressed in traditional Cuban clothing. If you are not one for trying new things and the idea of trying new foods in a foreign destination makes your stomach turn don’t worry as must resorts have “american” food or at least “english” food for those picky eaters as well. However I suggest living a little and trying everything new and strange that you can. Have you ever been on an all-inclusive vacation? What was your favourite thing about it? Did you have any amazing meals?